This is the largest RMT, and is designed primarily for civilian applications. 2-Step Instructions are clearly printed on webbing. 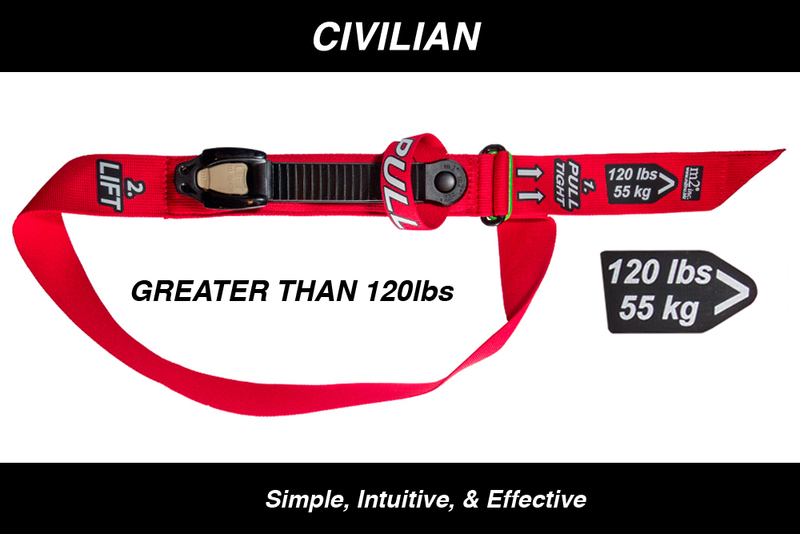 11" Ladder Strap provides the largest closure range. This is a highly effective tourniquet that is most suitable for civilian use due to its intuitive operation. Rugged & Durable. The responder has precise, adjustable control to occlude blood flow, minimizing muscle and nerve damage. RMTs are self–locking and require only gross motor skills to operate. Audible sounds verify activation. Users should train regularly for optimal response.